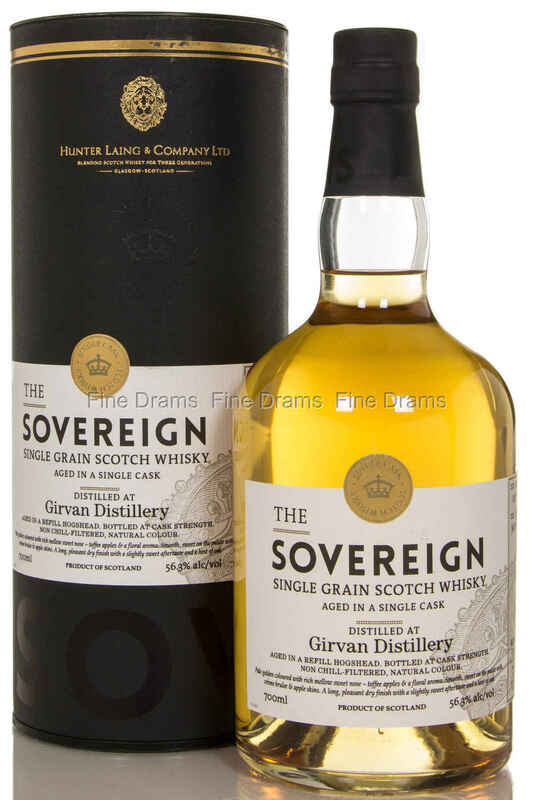 A 26 year old single grain whisky from the Girvan distillery, bottled by Hunter Laing as part of their Sovereign range. It was distilled in October, 1988, and left age in a refill hogshead (cask no. HL11119) until being bottled in November, 2014, with an outturn of 283 bottles. This whisky was bottled at cask strength, and is without chillfiltration and artificial colouring.